The tenth year of the prophetic mission came to an end with all its agreeable and disagreeable events. During this year the Prophet lost two great defenders and supporters. In the first instance the chief of the family of Abdul Muttalib, the distinguished defender of the Prophet and the prominent personality of Quraysh viz. Abu Talib breathed his last. The pangs of this tragedy were still fresh in the heart of the Prophet when the death of his dear wife Khadijah217 aggravated his pain. Abu Talib was the protector of the life and honour of the Prophet and Khadijah served Islam with her immense wealth. From the commencement of the eleventh year of the prophetic mission the Prophet was spending his time in an atmosphere which was replete with enmity and grudge against him. His life was in constant danger and he was deprived of all the possibilities of the propagation of Islam. “Don’t cry. Allah is the Protector of your father” then he said: “While Abu Talib was alive Quraysh did not succeed in doing anything unpleasant against me”. “In case you are the chosen one of Allah it will be inviting torture to refute you and if your claim is false you are not fit to be talked to”. These and many other invocations which we have briefly quoted, strongly impress the hearts, because they are supplications by a person who has spent fifty years of his life with great honour and dignity under the protection of self-sacrificing supporters, but now his circumstances have undergone such change that he has taken refuge in the enemy’s garden and is waiting for his fate with an exhausted and wounded body. “My brother Yunus was Allah’s Prophet like myself”. The Prophet’s words which showed signs of truthfulness made a strange impression on ‘Adas and he was attracted towards him involuntarily. He prostrated himself, kissed the Prophet’s hands and feet and expressed faith in his religion. Thereafter he took leave of him and returned to the owners of the garden. “This person who has now taken refuge in your garden is the chief of the entire humanity. He has told me things which only Prophets know and he is the very Promised Prophet”. “This man should not estrange you from your old faith; and the religion of ‘Isa (Christ) which you follow at present is better than his”. The intensity with which the people pursued the Prophet ended with his taking refuge in the garden of the sons of Rabiyyah. However, he had to return to Makkah now, and even this return was not free from difficulties, because his only defender had since departed from the world and it was possible that at the time of his arrival in Makkah he might have been captured and killed. “Muhammad should come straight to my house. My sons and I shall protect his life”. “Now that you are under my protection it will be in the fitness of things if Quraysh should also know about it. Hence, to proclaim this it is necessary that you should accompany me to Masjidul Haram”. “If Mut’am had been alive and had asked me to release all the captives or to gift them to him, I would not have rejected his request”. The tedious journey to Tatif undertaken by the Prophet makes abundantly clear his steadfastness and forbearance and the fact that he never forgot the services rendered by Mut’am at a particular time tells us about his sublime habits and high morals. However, over and above these two qualities of the Prophet, we can well imagine how appreciative he must have been for the valuable services rendered him by Abu Talib. Mut’am lent support to the Prophet for a few hours or for a few days, but his noble uncle defended him throughout his life. Mut’am did not suffer even one-thousandth part of the hardships and tribulations which Abu Talib suffered. And when the Prophet was willing to release all the captives of Badr or to gift them away to Mut’am for the sake of services rendered by him for a few hours what would he do in lieu of the services rendered by his dear uncle? It is necessary that the person, who supported the Prophet for full forty two years and risked his own life during the last ten years to protect him, should enjoy a very high position in the eyes of Muhammad, the leader of humanity. And then there is a clear difference between these two persons. Mut’am was a polytheist and an idol-worshipper, whereas Abu Talib was considered to be one of the great personalities of the world of Islam. “Acknowledge the Oneness of Allah so that you may attain deliverance. With the strength of faith you can control the entire world, can make the people obey your orders and can find place in Paradise in the next world”. “O people! Don’t believe in what he says, because he is campaigning against the religion of your ancestors and his words are baseless”. 217. 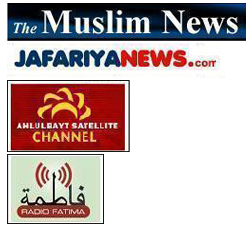 Ibn Said says that the death of Khadijah took place one month and five days after that of Abu Talib. (Tabaqat, vol. I, page 106). Others like Ibn Athir, however, believe that she died earlier than him. (Tarikh-i Kamil, vol. II, page 63). 218. Seerah-i Ibn Hisham, vol. I, page 25. 219. Tabaqat Ibn Sa’d, vol. I, pp. 210-212 and al-Bidayah wan Nihayah vol. III, page 137. 220. Tabaqat Ibn Sa’d, vol. I, page 216 and Seerah-i Ibn Hisham, vol. I, pp. 422 -442.